This month’s book of the month, Words that Sell by Richard Bayan, is a GREAT desk reference to use when writing copy for your mini-sites, emails, postcards and more. Basically, it’s a marketer’s thesaurus to help you sell more of your products, services and to help the killer ideas flow. Instead of writing boring copy, this inexpensive paperback helps you jazz up your communication with powerful, emotional words that resonate more strongly with your audience. If you need quick inspiration, or need another way to say “easy” or “popular” or “money-making” or one of the other 73 words and phrases in this book, you’re all set. Just flip to that page and you’ll find a large list of alternatives, complete with cross-references to related adjectives and phrases. Not only is it a great sales thesaurus, but he includes lists of guarantees, ways to justify your prices, phrases to avoid and much more. Not bad for $11.53, eh? Even though I don’t need to use a swipe file like this all the time, but it’s still one of the few copywriting resources that are within armsreach of my keyboard. Seriously though…grab the book. And be sure to post your comments below if you own it already. Hi, Chris. You asked for comments – here you go! I’m curious about what you’re testing. BTW – excellent book recommendations. Valuable to have close by on your bookshelf, especially when you’re working on copy. You know, there’s a “More Words that Sell” and even a “Even More Words that Sell” out now. I find these are great for writing sales copy and websites that convert. I own all 3 books. 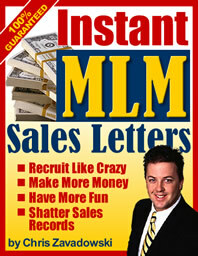 They are a ‘must have’ for any internet marketer.